Every world has its fearsome creatures that thrive in the darkness, and the Crucible has them all. The Architects took great pains to ensure that the Crucible was inhabitable to all creatures from across the galaxy, but they did not make it safe. 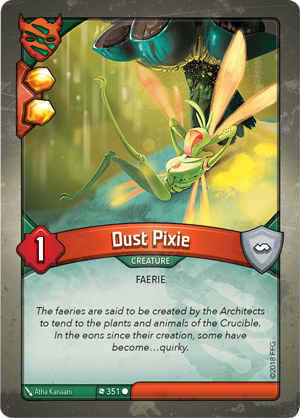 Just beyond the borders of the great cities scattered across the surface, the wilds of the Crucible are always encroaching, threatening to take over with grasping vines and deadly creatures. The sentient flora and fauna of these diverse biomes are collectively known as House Untamed, and the name is dangerously descriptive. 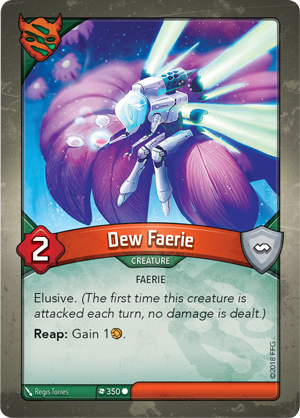 When they first began drawing in creatures from across the stars, the Architects built mechanical sprites like the Dew Faerie (Call of the Archons, 350) and Dust Pixie (Call of the Archons, 351) to care for the incredible creatures. While these quirky automatons do try to keep balance, they have made no effort to keep the wildlife separate. The result has been that over time, species interbreed and evolve into new creatures entirely unique to the Crucible. Among the new animals of this House, you will find fearless creatures of raw power. 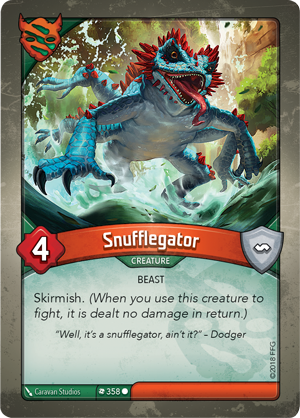 The Snufflegator (Call of the Archons, 358) has a respectable power of four as well as the skirmish keyword, meaning that when this creature fights, it is dealt no damage in return. 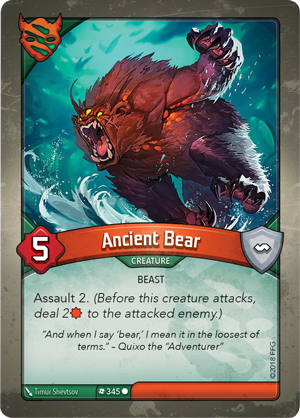 Then, the Ancient Bear (Call of the Archons, 345) deals two damage to its prey with the assault 2 keyword before the fight even begins. 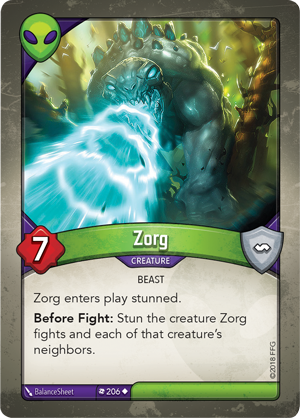 Needless to say, if you are drawn to powerful cards that can tear your enemies limb from limb, this is the House for you. But these animals are not the only component of House Untamed. This faction is also built of the humans and other sentient creatures who reject civilization, preferring to live true to themselves in nature. While many Houses use Æmber to power their technology, the members of House Untamed are known to use Æmber to mimic the Archons’ powers of communication. These “witches” can speak to animals, plants, and even fungus. 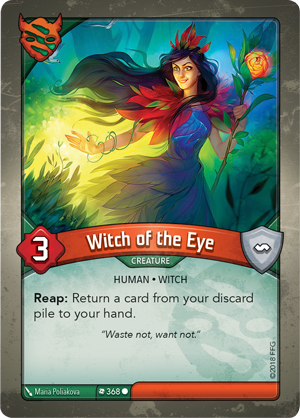 The Hunting Witch (Call of the Archons, 367) is so in tune with the Crucible that they gain an Æmber each time you play another creature, regardless of their House alignment, and the Witch of the Eye (Call of the Archons, 368) can mirror the Archons’ regenerative abilities on a smaller scale, returning a card to your hand when she reaps Æmber to use as a catalyst for her spell. The sheer variety of House Untamed cannot be overstated. No matter which planet the Architects draw from, there are always those who turn away from their past civilizations once they arrive on their new home in the Crucible. As the ages have passed, there are now those who have only known life in the wilds—beings comfortable under the open sky, who embrace the freedom that life in the wild provides. 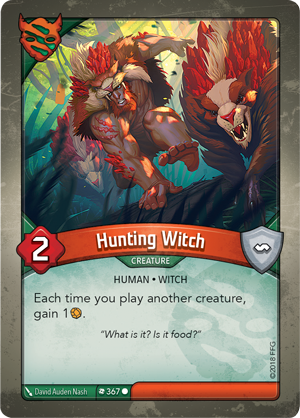 Though these creatures came from disparate orgins, their strength often comes from their ability to unite as a pack, becoming more effective as more creatures come into play. 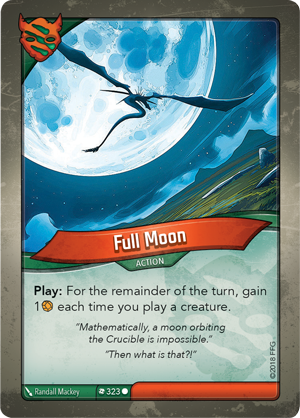 By opening a turn with Full Moon (Call of the Archons, 323), you can gain an Æmber each time you play a creature. 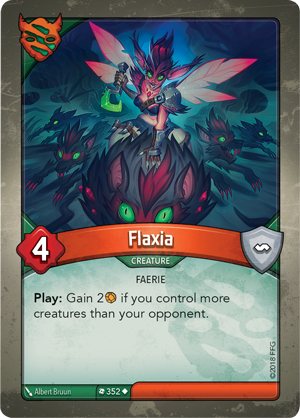 Once you have summoned your pack, Flaxia (Call of the Archons, 352) offers you additional Æmber if you control more creatures than your opponent. 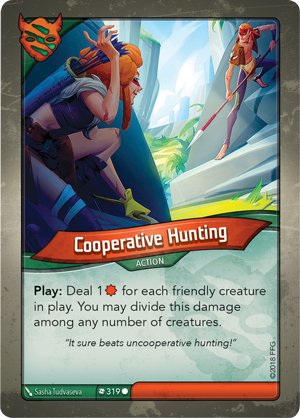 Finally, you can finish with Cooperative Hunting (Call of the Archons, 319) to deal damage for each friendly creature in play, allowing you to reap a remarkable amount of Æmber in a single turn without sacrificing the chance to harm your opponent! While this House is only loosely organized, it still features strong possibilities for in-House synergy. 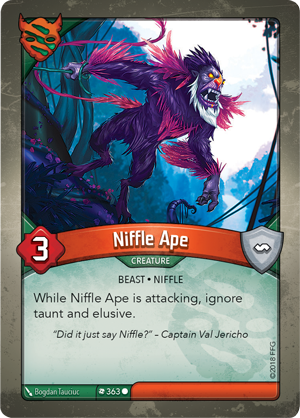 Few would deny that a Niffle Ape (Call of the Archons, 363) is fearsome in its own right, able to ignore taunt and elusive, but there are many secrets hidden among the trees that can make them even more powerful. 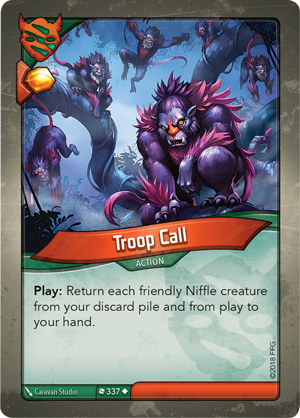 A Troop Call (Call of the Archons, 337) can save Niffle creatures from your discard pile and play by returning them to your hand, where you can immediately play them again so long as Untamed is the active House. 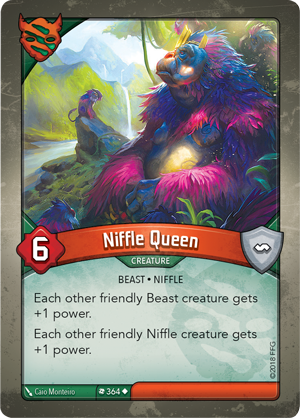 Then, the Niffle Queen (Call of the Archons, 364) benevolently grants more power to each of her allied Niffle creatures. This benefit is not limited to just Niffles or House Untamed, however, as she can grant power to friendly Beasts as well! If you are united with House Mars, the Niffle Queen could bolster the strength of a Zorg (Call of the Archons, 206) or a rare Grommid (Call of the Archons, 194). As the Martians are constantly working to create the perfect killing machine, an alliance between the two Houses can lead to the creation of the greatest monster the universe has ever seen. While Archons can communicate with all living beings, the wild creatures of Untamed still present an interesting challenge. This House has no central organization, and most creatures simply ignore anything that is neither predator nor prey. Still, there are those who enjoy the social aspect of an Archon’s team, and their fearless natures make them valuable allies, if a little chaotic. 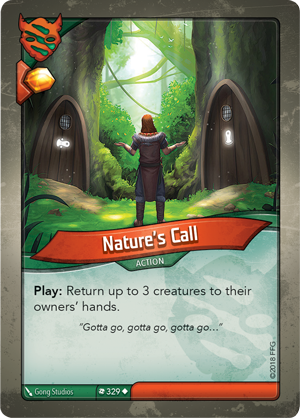 If you find yourself cast out of your element, House Untamed can level the playing field with events like Lost in the Woods (Call of the Archons, 327) and Nature’s Call (Call of the Archons, 329), returning creatures to their owner’s hand, and forcing your opponent to redeclare that House and replay those cards if they want to use them again. This crucial delay can buy you time to advance your plans before your opponent can regroup, forcing them to form a new strategy on the fly while you continue to work toward your keys. But perhaps the most powerful skill that House Untamed has in their arsenal is the ability to forge keys out of sequence. 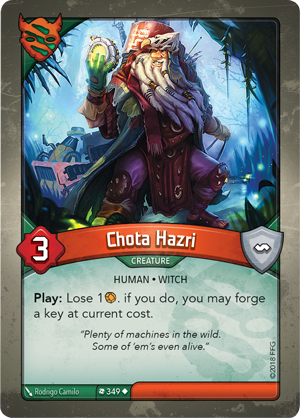 Key Charge (Call of the Archons, 325) and Chota Hazri (Call of the Archons, 349) both forge a key for you the moment they’re played, if you can pay the price. 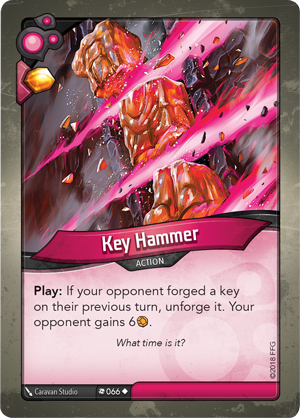 This may help you reverse the effect of a Key Hammer (Call of the Archons, 66) or even win the game before your opponent can execute any last-minute schemes. 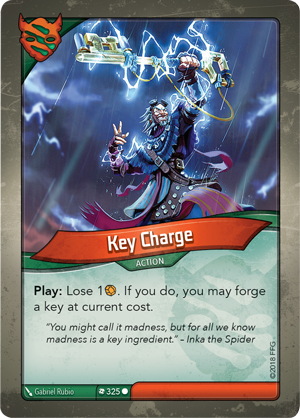 While plotters may become tangled in their own webs, the straightforward creatures of House Untamed will race to the finish and prove that the power of nature is undeniable and undefeatable. When you lead your team into your battles for Vaults, a little chaos can go a long way. 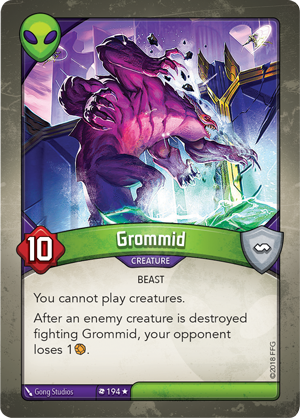 With raw power, fearless fighters, and an astounding command over Æmber, House Untamed is sure to throw your opponent off their game, and hopefully earn you victory in yours. 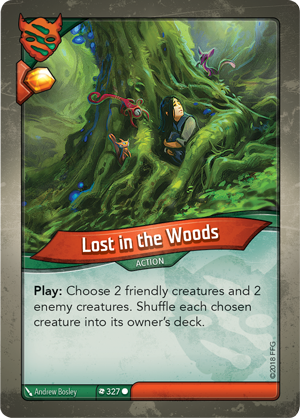 (This article was originally posted on Fantasy Flight Games’ official website).